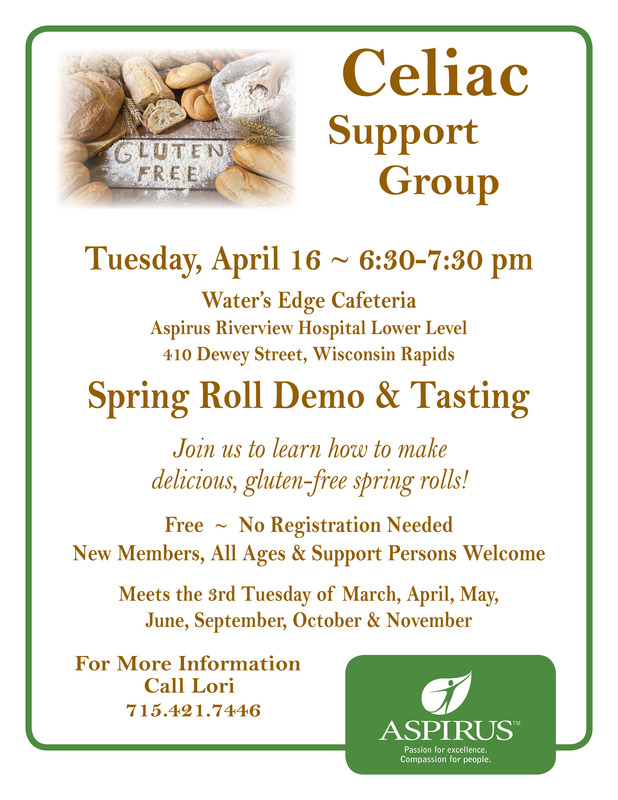 The April meeting of the Celiac Support Group will be held Tuesday, April 16, from 6:30 to 7:30 pm in the Water’s Edge Dining Room on the lower level of Aspirus Riverview Hospital, 410 Dewey Street, Wisconsin Rapids. The meeting will feature “Spring Roll Demo & Tasting.” Attendees will learn how to make delicious, gluten-free spring rolls. The Celiac Support Group is free, and no registration is needed. New members of all ages and their family members are welcome. Whether you are newly diagnosed or have been on a gluten-free diet for years, the Celiac Support Group will put you on the path to learning more about celiac disease, gluten intolerance, and gluten-free living, shopping, cooking and eating out. 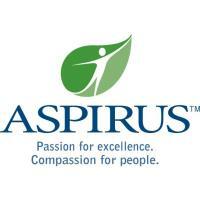 The Celiac Support Group is facilitated by Lori Cesare, DTR, a registered dietetic technician with Aspirus Riverview Hospital who has many years of experience educating patients about gluten-free diets. The group meets the third Tuesday of March, April, May, June, September, October and November. For more information, please call Lori at 715-421-7446.